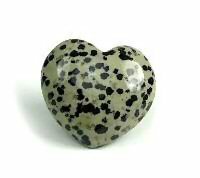 Leopardite puffy heart shaped gem stone is beautifully polished and is a form of Jasper and balances the emotions and enhances self worth and acceptance of others and ones self. It helps us take a good look at ourselves and others and and not take criticism to heart. Leopardite has a peaceful energy and assists with emotional stress and with difficult situations, letting go and change. 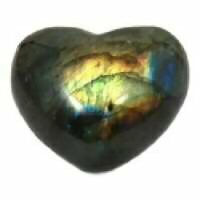 It is a stone that helps with sorting out and resolving problems. It assists with giving and receiving forgiveness and to reduce guilt and fear from past mistakes. 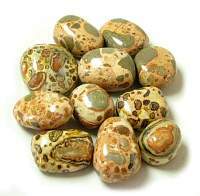 Leoparite also is believed to help diminish negative emotions such as hate, insecurity and anger. 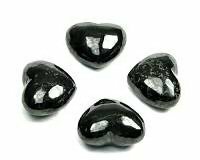 This crystal also assistes with bringing abundance, which can lead to success in work and business. It is also thought to increase creative abilities that provide new insights and ideas that can lead a person forward. Metaphysical healing lore says that Leopardite assists with mental and spiritual aspects of our lives and is especially an emotional healer. 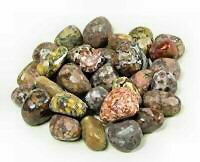 Since Leopardite is a form of Jasper it also will have the additonal metaphysical properties Jasper which is a stone of grounding, protection and warding off negativity. 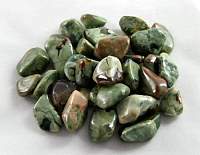 Like all jaspers it can help balance the emotional energy in the body. 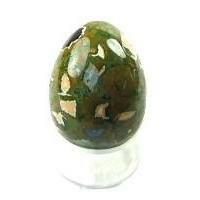 Jasper is sometimes called the nurturing stone for its nurturing and protective energies. Jasper comes in many colors. All colors of Jasper will help balance vibrations of the body. Jasper is a basic great stone that everyone should always have it on hand. Like all jaspers it can help balance the emotional energy in the body. 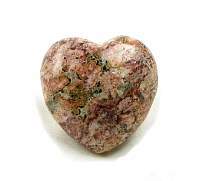 Jasper will help bring balance into your life and will help prevent burnout at work. Jasper gives one the courage to speak out and have personal independence. It also protects from fears. Jasper is a luck and money charm. 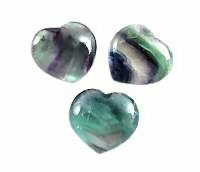 It is a gentle and relaxing stone and enhances the ability to relax and be tranquil. It is a comforting crystal that brings wholeness, healing, and gentle endings. 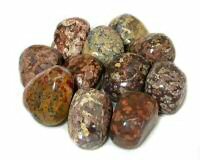 Psychically, jasper is used to assist with astral travel and balance yin yang energies. 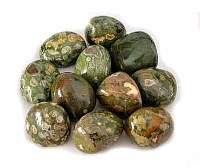 Jasper as a healing crystal is used for the digestive, soothing the stomach, liver, gallbladder and circulatory. It balances the mineral content of the body and helps the body to absorb nutrients more easily. 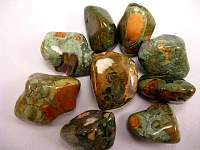 Jasper is associated with the root and sacral chakra.